Water damage may happen in many ways and the causes are many. A pipe may burst, a flood may occur and the list of causes is long. 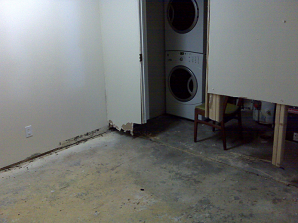 The thing about water damage is that it cannot be expected. That is the reason why insurance policies exist. Insurance will guarantee that is water damage occurs; your properties will be covered. But insurance policies are not that simple and there is a lot of information that you should know regarding water damage coverage. Let’s see the most important facts that you need to know about water damage coverage in home insurance policies. Water is not the same regarding insurance policies; there are two different kind of damages that is done by moisture. • Damage that result from flood which is not covered by the insurance policies. Floods have separate insurance policies called the National Flood Insurance Policy (NFIP). If you live in a city that may suffer from floods, make sure to have this policy. • Damage that result from any other cause like bursting pipes. This type is covered in your insurance policy and the insurance company is fully committed to pay for all the repairs. You may think that whatever the cause of disaster, it will be covered but actually there are certain situations that the insurance company may use against you in order not to pay you anything. If the problem is caused because you didn’t maintain the integrity of your place, the insurance company may use this against you. Let’s imagine that you have a leak. This leak is gradually destroying your property but you don’t take any actions regarding it. Over time the leak causes terrible damages to your property and now you are asking the insurance company to pay for the repairs. The insurance company will send a team of experts to your place and they will discover that these damages are mainly caused because of you didn’t maintain your place. • Level one is water from clean sources. This is still fresh and not contaminated so it is easier to be eliminated. • Lever two is contaminated water. When fresh source stays for some time, it will become contaminated. It may cause diseases. • Level three is the highly contaminated water from dirty sources. When fresh water stays for a long time, it will be level three too. This is so dangerous and may cause diseases that could be fatal. You need to know the level of water pollution because it will determine the time and the amount of money needed by to eradicate the pollution. More contamination means more money and more time, including the need to hire carpet cleaners and other restoration work. Insurance policies may be complicated but they are not impossible to understand. You will just have to dig deeper for information and explanations. These are 3 facts regarding water damage and insurance policies. Make sure to research well for every single detail in the policy before signing it. You are keeping not only your properties but also your family safe that way.